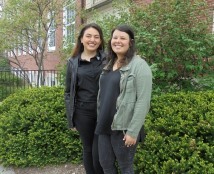 DePauw has repeatedly been a top producer of Fulbright U.S. students. 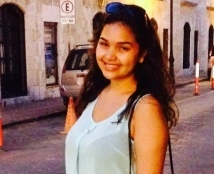 Kim Mendez ('16) won the Gilman International Scholarship. The Hubbard Center is DePauw's primary resource for scholarship and grant information. Supports one academic year of graduate study, research, or teaching in any of over 155 countries, with the goal of promoting cross-cultural interaction and mutual understanding. Open to all U.S. citizens. Click here for more info. Scholarships for undergraduate study abroad for students holding Pell Grants. Students who don't traditionally study abroad and less common destinations for study abroad are encouraged. In the Junior Fellows Program at the Carnegie Endowment for International Peace, fellows work as research assistants to the Endowment's senior associates. Positions are paid, full-time positions for one year, with a full benefits package. Supports one or more years of graduate study in U.S. or abroad for students planning a career in public service. Supports two years of graduate study towards a master's degree concentrating on American history or government; for students who teach or plan to teach about the U.S. Constitution in secondary school. Students must qualify as "new Americans" (first in their family to be a US citizen). Supports up to two years of graduate study in any professional field or scholarly discipline. Selection criteria emphasize creativity, originality, initiative, and sustained accomplishment. $30,000 stipend to support pursuit of a master's in teaching; mentoring and training for secondary school teaching in STEM subjects. Requires a major or significant experience in a STEM subject. $30,000 stipend to support pursuit of a master's in teaching; mentoring and guidance toward teacher certification. Requires three-year commitment to teach in a high-need public school; must be a student of color, a U.S. citizen, and not enrolled in a teacher preparation program.